Parrots satisfy their curiosity by examining everything with their strong beak and highly flexible tongue. They chew your clothing, your fingernails, and your woodwork. Sometimes they actually distract themselves by eating real food (theirs or yours). In this article we focus on some of the options that can be used to avoid the development of nutritional deficiencies in our busy-beaked friends. Thirty years ago these deficiencies were of special concern due to the common practice of feeding parrots nothing but an inadequate seed diet. Now we can make better–informed choices and have the ability to choose from an array of different products. Seeds, the mainstay of many diets, are notorious for containing too much fat, and often lack in crucial nutrients including vitamin A and calcium. These deficiencies cause seed diets to be inadequate without supplementation. Fortifying seeds by providing vitamins and minerals on the hull has only a minimal effect on balancing the diet because birds do not eat the hull. To prevent nutritional deficiencies, the diet must be fortified with other foods that are rich in the needed vitamins and minerals. Vitamin A deficiency is the most common vitamin deficiency seen in birds eating a seed diet. Feeding the vegetables listed in table 1 and fruits such as mangoes, papayas, cantaloupes, apricots and peaches helps prevent this deficiency. These foods also help provide other trace nutrients including beta-carotene and chlorophyll, which birds would be getting in their natural habitat. Calcium deficiency is of great concern for female birds laying eggs due to the tremendous amount of calcium required to produce the eggshell. Calcium deficiencies, often a concern for baby birds, a common cause of seizures in adult birds, are responsible for some of the leg problems that develop in old birds. 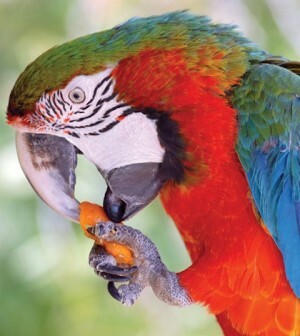 African grey parrots, sun conures, and baby blue and gold macaws frequently have problems due to calcium deficiencies. Cuttlebone is a calcium supplement, which is frequently given to small birds to provide them with additional calcium. This product is produced from the skeleton of cuttlefish and is composed primarily of calcium carbonate. Although cuttlebone has prevented a lot of birds from developing calcium deficiencies, this form of calcium supplementation is not the ideal way to provide calcium because calcium carbonate is difficult to absorb and big birds are often too destructive to use this form of calcium supplementation efficiently. Cuttlebone can also cause problems due to possible contamination and metabolic problems can develop due to the buffering action of the calcium carbonate. Wheat grass, spirulina, alfalfa and cloverleaf are all very high in calcium, and in the powdered form can be sprinkled on any of your birds moist treats such as diced fruit. While bone meal also comes in a powdered form and contains an extremely high level of calcium, we do not recommend its use because of its high phosphorus content and possible contamination of this product. It may surprise you that vegetables are a good source of calcium for birds. Although vegetables contain a lower amount of calcium than is found in animal products, vegetable calcium is absorbed at a significantly higher rate. Vegetables with high levels of calcium that are particularly good to feed are listed in table 2. Table 2. Vegetables high in Calcium. Mustard greens, turnip greens, dandelion greens, cabbage leaves, broccoli, watercress, carrots, and yams. Instead of supplementing a seed based diet with various foods and supplements, a balanced diet can be achieved by feeding a wide variety of different foods. A well-balanced table food diet should include vegetables, fruits, nuts, grains, cooked beans, and other high protein foods along with a small portion of seeds. In addition to those vegetables and fruits previously mentioned, others that are beneficial to provide are listed in table 3. Only serve fresh vegetables and fruits while they are firm and fresh. Never serve them when they become soft, overripe, wilted or bruised. Apple seeds and the pits from these various fruits mentioned should not be offered. All nuts, grains, and seeds must be of human quality, which means they are clean, free of mold, foreign material and insects. Seeds and nuts should be fresh and ideally should be eaten shortly after they come out of the shell, when the nutritional value is at its peak. Nuts that have been improperly stored in the shell are apt to taste stale and should be avoided. Table 4 lists nuts that are fine to feed. For birds that are obese, offer only very small quantities of nuts and high fat seeds (sunflower, safflower, pumpkin, flax, hemp and sesame seeds). Table 5 shows other sources of seeds and grains birds like to eat. Some of the table foods that contain these grains include whole grain breads, whole grain pastas, and unsweetened whole grain cereals. Table 5. Some of the Seeds and Grains suitable for Hookbills. Canary seed, pumpkin seed, millet, corn, barley, wheat, buckwheat, rice, oats, rye, and quinoa. Foods high in protein that are good to feed include cooked legumes (see table 6), tofu (a soybean product made from soymilk), cooked lean meats, cooked eggs, and cottage cheese. Beans have the additional health benefit of providing a high amount of fiber. Chicken is a good source of lean meat even though some people find it strange to feed to birds. Eggs contain all the essential amino acids and are an excellent source of protein, but due to their high fat content, they need to be offered in small quantities. To avoid spoilage problems all of these foods should be removed a couple hours after feeding. Due to the risk of being contaminated with bacteria, the uneaten portions of chicken, meats and eggs need to be discarded shortly after being served. Table 6. Some of the cooked legumes suitable for Hookbills. Black beans, black-eyed peas, garbanzo beans, kidney beans, lentils, peas, pinto beans, red beans, and soybeans. Cold-water fish such as salmon are also high in protein and provide the added benefits of being a good source of omega 3 fatty acids. Cold-water fish contain high levels of eicosapentaenoic acid (EPA), a very important fatty acid that is not usually found in nuts or high fat seeds. Instead of feeding fish, which may contain mercury, birds can be fed fish oils that do not contain toxic metals. Small amounts of these oils can be put on whole wheat bread. Some bird owners might choose to place emphasis on the use of primarily fresh wholesome foods and organic products. Others with limited time or great concerns over freshness might choose to use one of the manufactured pelleted diets that are formulated for birds. Even these seemingly less worrisome formulated diets should be supplemented with some fresh vegetables and fruits whenever possible. 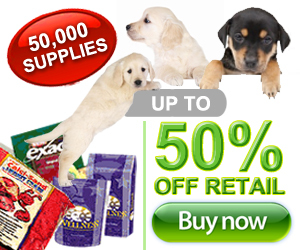 The formulated diets which include pellets, nuggets, crumbles, and others, usually contain grains fortified with vitamins and minerals, but may include seeds, nuts, legumes, dried vegetables, and dried fruits. The ingredients used in formulated diets may be of the best quality available or may be of limited nutritional value and contain high levels of sugars and preservatives. Some of the formulated diets contain harmful preservatives or are inadequately preserved and spoil easily. Others are adequately preserved without toxic products. Formulated diets usually offer a balanced and consistent product, which is resistant to bacterial contamination and is stable in the environment when kept dry and changed daily. If you are feeding a formulated diet exclusively, additional vitamins and minerals are usually not recommended. When feeding a table food diet or a table food diet combined with a formulated diet, follow the advise of your veterinarian with respect to adding additional vitamins and minerals. Adding powdered vitamins on soft foods (at a lower concentration) is often preferred to putting vitamins in the drinking water because (1) vitamins in the drinking water may promote the growth of bacteria and (2) the vitamin A levels in the water quickly decline since vitamin A is unstable in water. Water is vital for our bird’s health and well-being. It is important for them to have a clean and consistent supply. Birds use water for drinking, bathing, and soaking their food. Their water needs to be changed and cleaned a minimum of twice a day. It may need to be changed more often, depending on how often the bird contaminates the water. Water bottles can help prevent contamination, but must be scrubbed clean daily. There are different opinions on the use of tap and well water. Water that is safe for human consumption will usually be safe for our animals, but opinions differ due to the lack of research and the inconsistency of tap and well water. Water that is considered safe for human consumption may still contain low levels of bacteria and chemicals. If you prefer to filter your water then make sure that the filter is changed on schedule and kept clean. If the water is not used regularly than it needs to be run for a period of time to flush out any standing water. When you filter water, it is a two-edge sword. You are removing many of the chemicals used to keep the bacteria count down but as the water ages, the bacteria left can multiply unchecked. Another option is to use bottled water. Always check the dates on the bottles. If there is any concern that your water is contaminated it is best to boil it until you are sure it is safe, and then allow it to cool before giving it to your bird. Foods to avoid include (1) avocados due to the toxin persin found in various parts of the plant and (2) chocolate due to its high levels of theobromine and caffeine. Beverages with high levels of caffeine should also be avoided. Greasy, sugary, and salty foods, besides being unhealthy, also stimulate cravings that can results in overeating and therefore are not recommended. There are also concerns with the quality of foods being fed. Improperly stored, stale, damaged, overripe or decaying foods should be avoided because foods in these conditions are more often contaminated with bacteria or fungi and the toxins these fungi produce. Aflatoxins, toxins produced by various species of the fungus aspergillus, are particularly damaging to birds, producing liver problems and suppressing their immune systems. Aflatoxins are most often found in peanuts but are also found in other nuts, grains and fatty seeds. Because these toxins are heat stable and not easily detectable, they can frequently exist at low levels in many processed foods. If you are going to make changes in your birds diet and feed them foods they do not readily eat or have not eaten before, do not assume they will eventually eat these foods when they are hungry enough. Many birds will refuse to eat foods that they do not like up until the point of starvation. It is always a good idea to purchase a gram scale to keep track of your bird’s weight. If their weight drops significantly contact your veterinarian. The best diet to feed your bird depends on several considerations. Feeding birds a diet that consists mainly of fresh foods, offers the benefit of enriching the concentration of available nutrients and micronutrients, some of which may be provided only in this way. Formulated diets have the advantage of being more stable and less likely be able to spoil if left out the entire day. Using a combination of foods usually works best. The recommended percentage of each of these food choices will depend on your bird’s health status, predisposition to various problems, and body composition. For instance, some species of birds that tend to become overweight should be fed fewer nuts and fatty seeds. When recommending how much of the various fresh, unprocessed, or formulated foods should be fed, your bird’s willingness to eat the foods must be considered! Parrots have preferences just like their owners. Consult with your veterinarian for an individualized assessment of the diet that that best serves your bird’s needs. 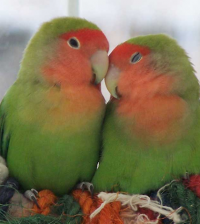 Birds – What Type is Right for You?